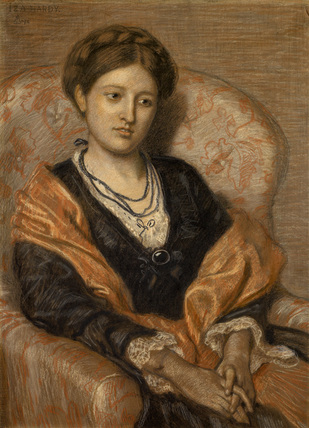 Three-quarter length woman seated in an armchair. Full-face turned slightly to the right. Wearing black dress with pink stole.